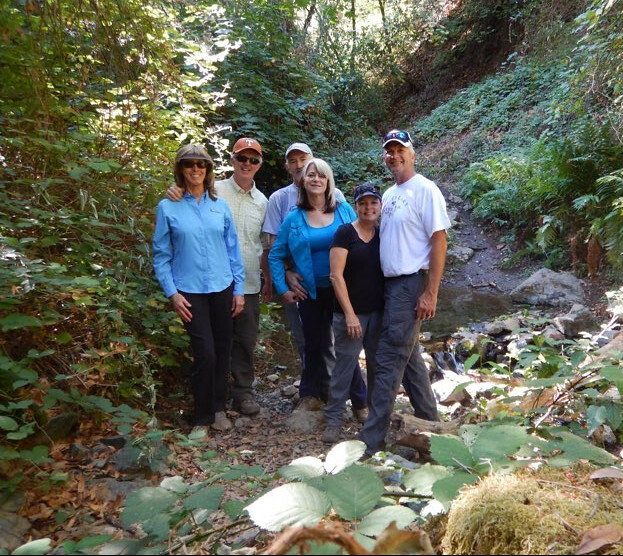 Almost four years ago, Sharon and I hiked with the Larkins and the Gainsley from the Larkin's property down into the canyon of the Middle Fork of the American River. At the time, I said that I would have loved to gone all the way down to the river. 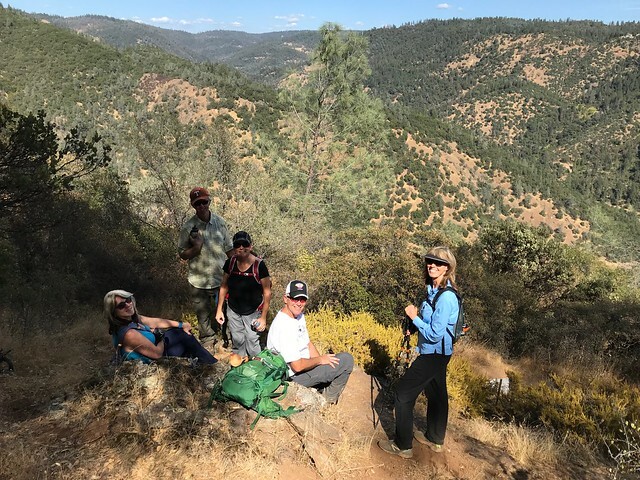 Larkin and Cindy planned out a second hike for Saturday for the same group that dropped all the way to river. We left the Larkin's barn about 9:30 am. When we got to the river, there was actually a 50k from Foresthill to the Auburn Dam Overlook underway. The race was crossing the river at that point. We continued down river to Maine Bar for a leisurely lunch. After lunch, we climbed out of the canyon. 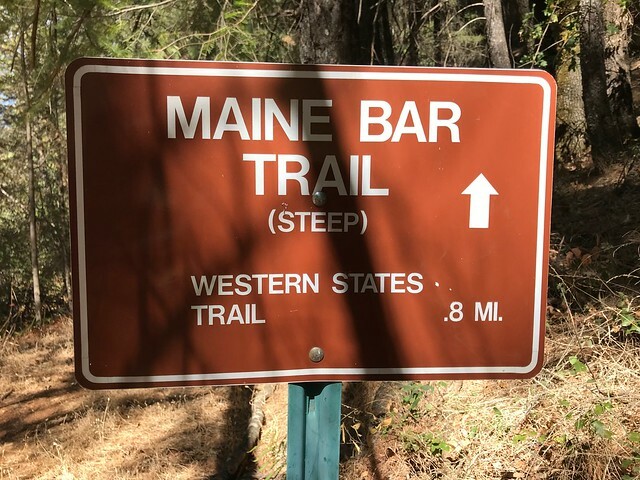 There were two pretty good hills: the Maine Bar Trail and the final section up to the Larkin's property. We stopped briefly at the memorial for Barbara Schooner. In total, we covered 8.7 miles in six and a half hours. It was very nice hike. A map of the hike is here.